For working pet parents, parting ways in the morning always tugs at the heartstrings, especially when your pet flashes those sad eyes. However, a pet monitoring system allows you to check in on your dog or cat throughout the day to see what they are up to, make sure they are happy, and even chat with them and offer a treat. These seven cameras are great options to keep an eye on your pet. PetChatz is on the pricier side, but this self-proclaimed “digital daycare” comes with all the bells and whistles. 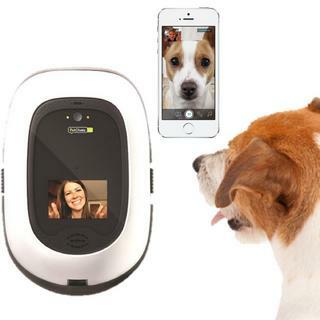 Not only can you monitor your pet, it has the option for two-way video chatting, so your pet can see you too. PetChatz mounts to the wall but you have the option to purchase a stand. It features aromatherapy, a treat dispenser to reward your pet while you’re away, and the video screen can display DogTV (for an additional subscription cost) for your pup’s entertainment. Finally, there is a separate, paw-friendly button you can purchase that allows your dog to make an outgoing call to you while you’re away. It may be a small 4-inch cube, but this camera packs a punch with its 1080p HD quality. 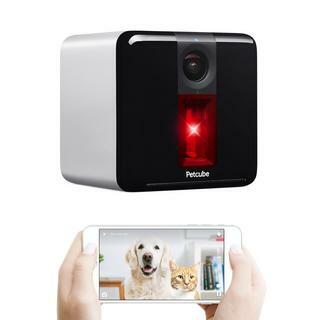 The Petcube features night vision monitoring as well as a laser pointer that you can control via the app to remotely play with your pet. It has motion sensors to alert you of movement and two-way audio so you can talk to your pet. The app supports multiple Petcube cameras should you decide to put one in each room. The company also makes a camera with treat dispensing capabilities (which has no laser toy). 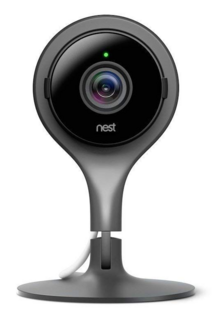 Nest is a brand known for reliability and high-quality picture. 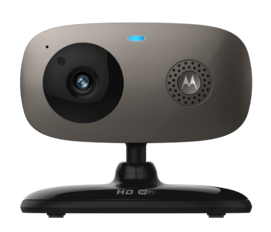 The indoor Nest Cam features super clear 1080p HD video with a wide lens and stores up to 30 days of video in the cloud. It has motion and sound detection to alert you when something is out of the ordinary and special alerts when it detects a human face. There is a built-in speaker and microphone for two-way audio—so you can tell your dog she’s a good girl. 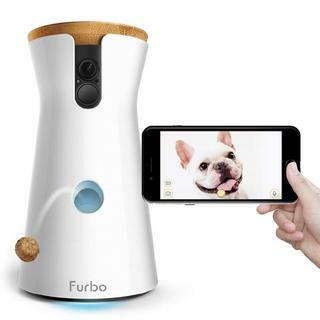 Furbo is a treat-dispensing pet camera made to sit on a coffee table or end table. Simply remove the cap and fill it with treats, then use the app to throw treats to your dog. Along with the ability to monitor video and audio in your home, you can also record voice messages via the app to talk to your pet. Furbo sends alerts if it detects loud noises, such as a barking dog. This device features a night vision camera, so you can still see what’s going on as it gets darker. 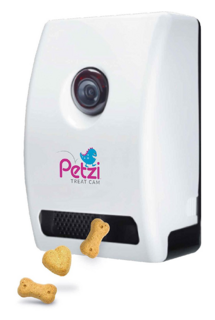 Petzi is another wall-mounted pet monitoring camera and treat dispenser. It’s a very straightforward and user-friendly way to keep an eye on your pets and reward them for being good. Hold down the microphone button on the app to talk to your pet, or press the bone button to give them a treat. You can fill it with any treats of your choice; using smaller treats means the device will dispense multiple treats at a time. The Vimtag Cloud Camera is a more affordable home monitoring system for those that don’t need extra features like treat dispensing. 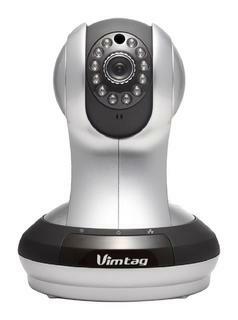 This high definition camera features 4x digital zoom, night vision technology, and two-way voice functionality. With tilt and pan features, you can remotely adjust the angle of the camera to see everything that’s happening. The Scout66 features a 60-degree viewing angle in high-definition 720p with infrared night vision. It’s an affordable camera for those whose only priority is to monitor their pet. You can monitor your pet from your phone, tablet, or desktop and it provides sound, motion, and room temperature notifications. Mount it to the wall and communicate with your pet via the two-way audio. For an additional cost, optional cloud recording stores footage in the cloud so you can review what your pet was up to while you were in a meeting.